Etched Brass construction with my own W/M axleboxes. Slaters wheels running in brass bearings and Compensated. 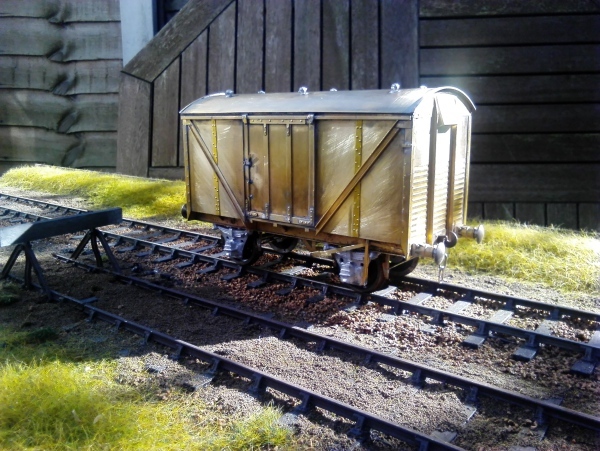 Sprung Brass buffers and couplings. Pre-rolled roof with W/M Vents. I have withdrawn this option. Fully finished in your choice of LNER or BR liveries. Airbrushed finished, oiled and free running. Quality stock box.